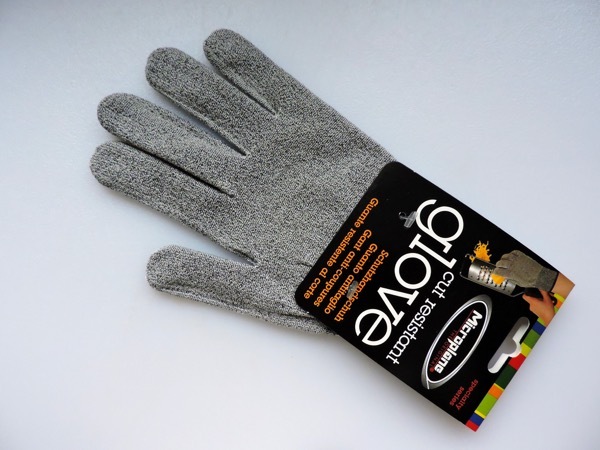 While we all hope for velvet results, sometimes we need an iron hand to get there. Lately I’ve been looking to broaden my horizons. I’ve read some fascinating books- Colson Whitehead’s “Underground Railroad”, Affinity Konar’s “Mischling, and I’m just finishing Yaa Gyasi”s “Homegoing”. Obviously I’m not drawn to the cheeriest of books, rather ones that push me into unchartered waters and force me to view another’s perspective. Every once in a while, I do the same in the kitchen. I dive into a cuisine that doesn’t come naturally, and if I’m honest I must admit I don’t usually have the best results. 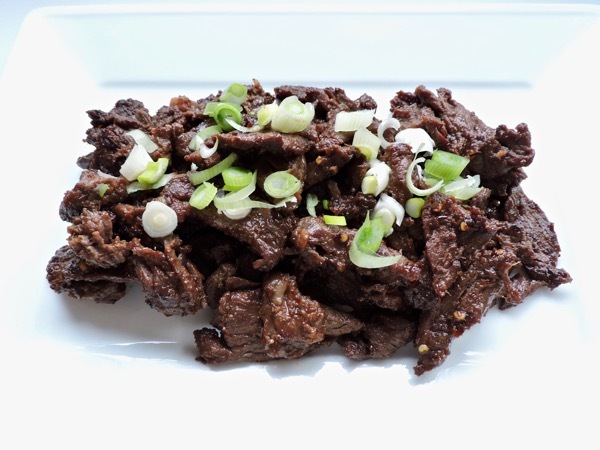 This all changed when stumbled upon a recipe for bulgogi, a salty sweet hot Korean barbecue that looked like I could actually make at home. Its marinade is made from grated pear, grated fresh ginger, and grated garlic. 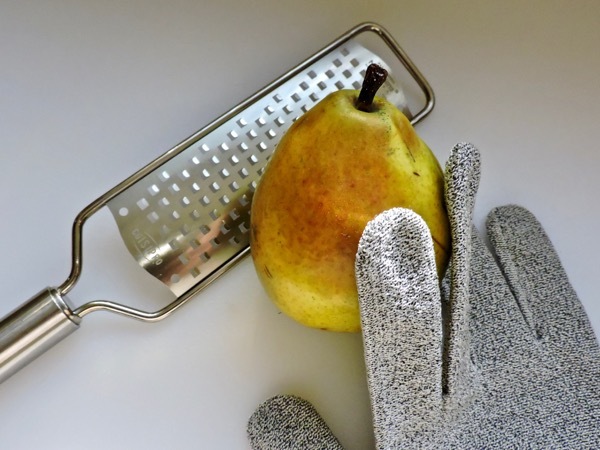 Thank goodness I have an iron glove- literally I have a flexible metal glove that you slip on and can grate away down to the very end on the sharpest of microplane graters without nicking a nail. If you don’t have one- you should get one too. 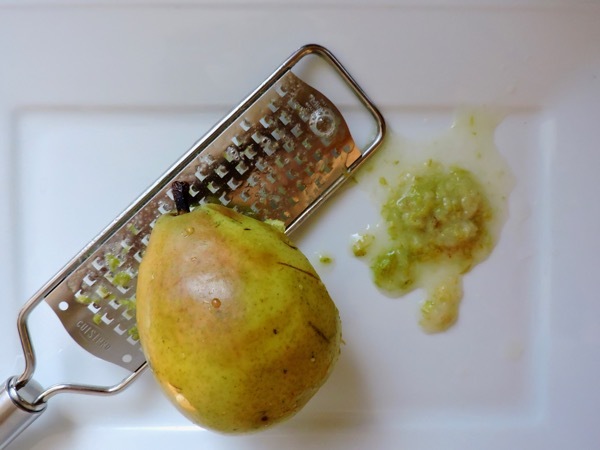 For the bulgogi grate one half of a ripe pear, skin and all. 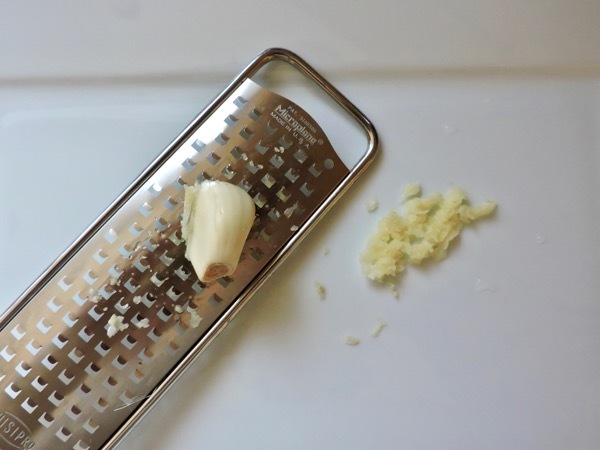 Grate a clove of garlic. 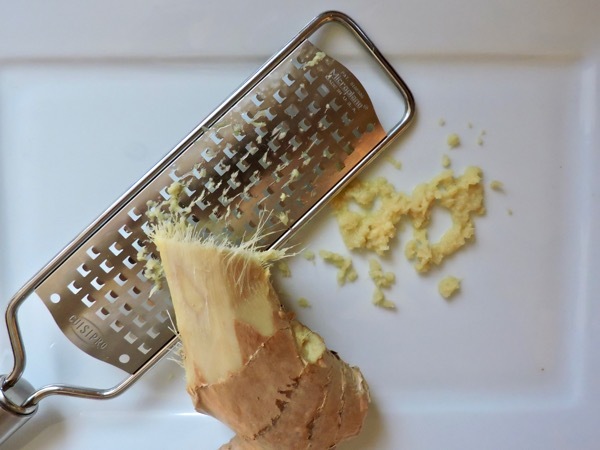 Grate enough peeled ginger for one tablespoon. 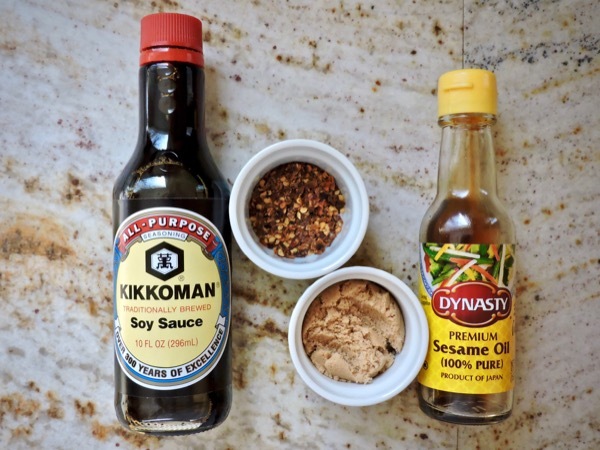 For the rest of the marinade you will need two tablespoons soy sauce, one tablespoon toasted sesame oil, one teaspoon crushed red pepper flakes, and one packed tablespoon of light brown sugar. 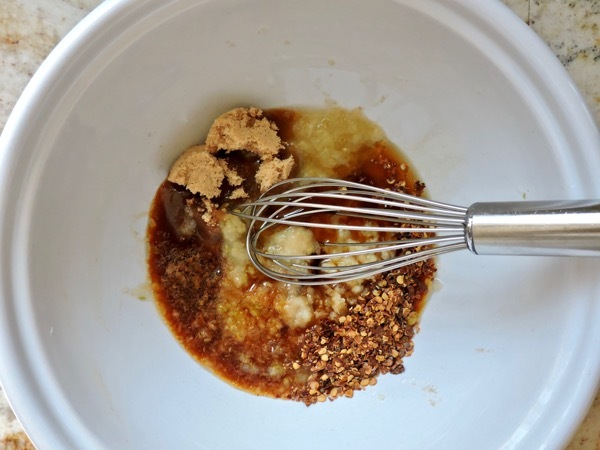 Combine the pear, garlic, ginger, soy sauce, sesame oil, red pepper flakes, and brown sugar in a small bowl. 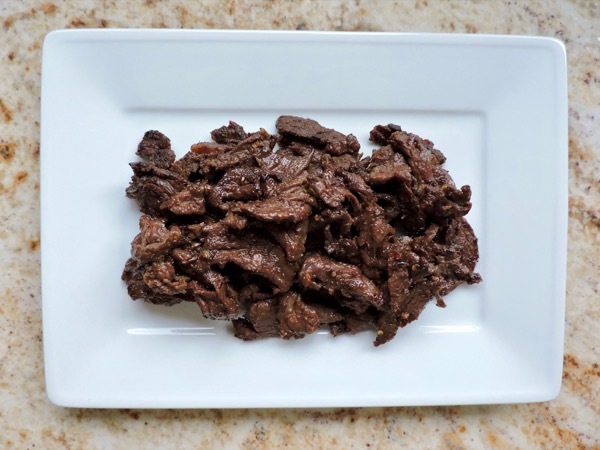 This dish calls for well marbled hanger steak. 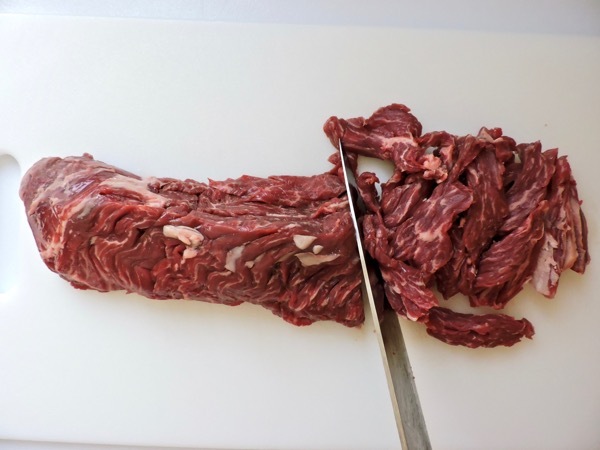 Slice the meat into very thin strips. 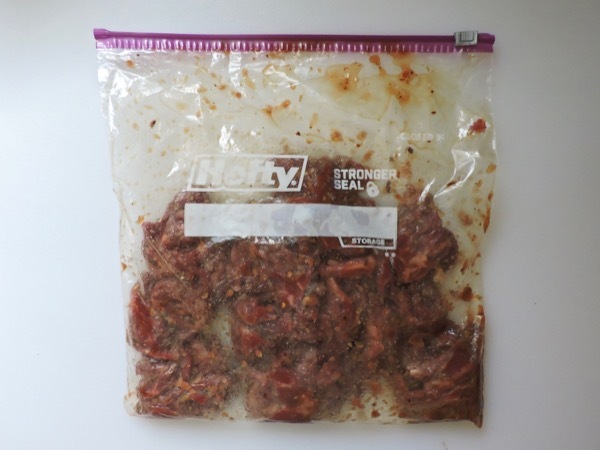 Place the meat in a large Ziploc bag. 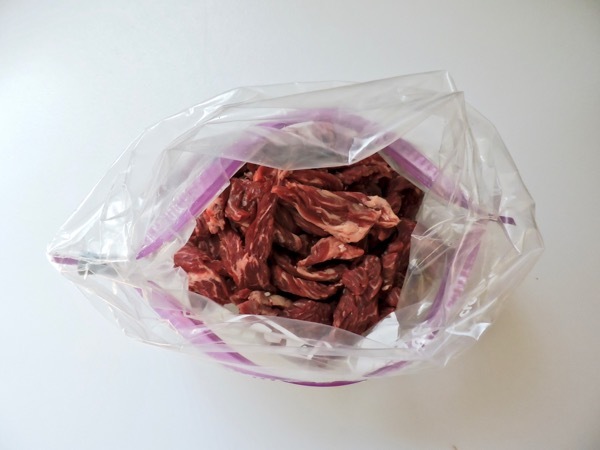 Seal the bag, and toss until the meat is coated. 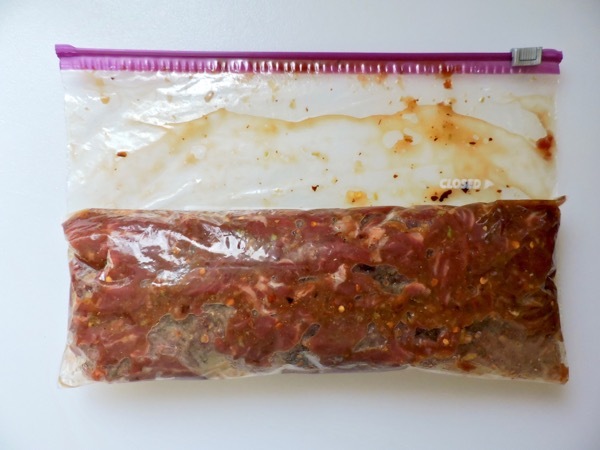 Unseal and remove all the air and reseal the bag. 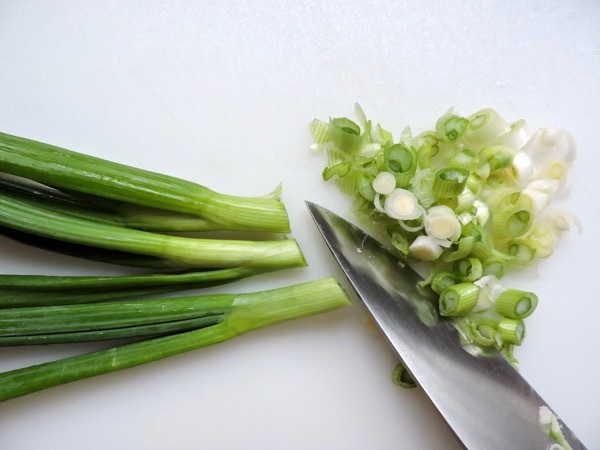 Let sit at room temperature 30 minutes, or place in the refrigerator for up to 8 hours. 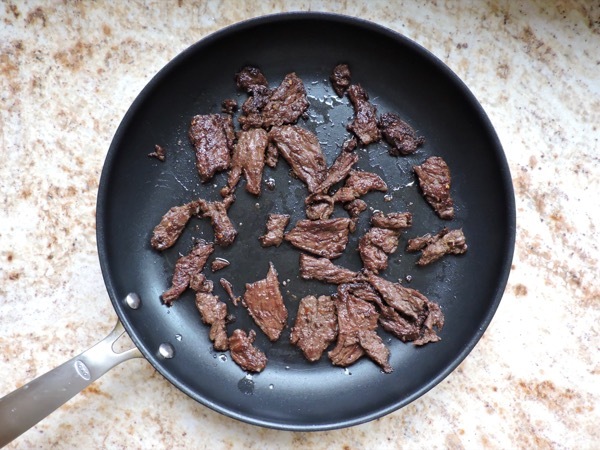 Heat 1 tablespoon vegetable oil in a large skillet over medium-high until the oil shimmers. 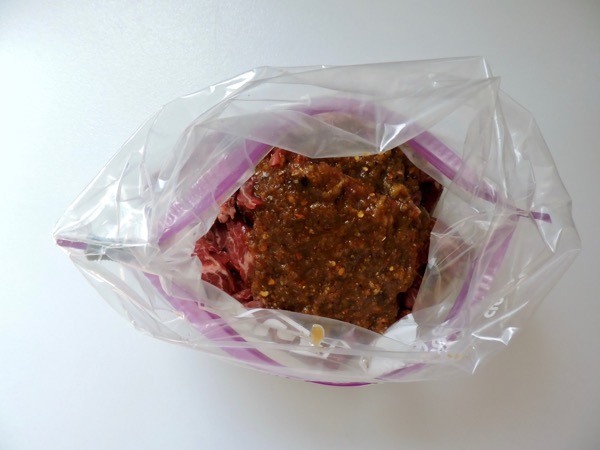 Remove half of the meat from the marinade, letting any excess drip back into bag. 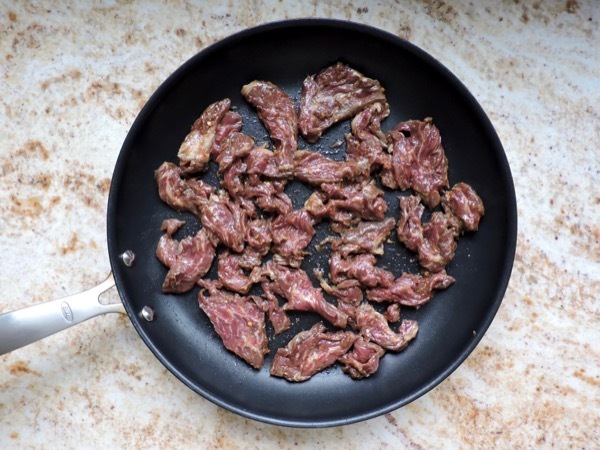 Place the meat in the hot pan in a single layer, season very lightly with kosher salt. Cook without moving until lightly browned, about 1-2 minutes. Turn the meat with tongs and continue to cook, tossing occasionally, until cooked through and crisp at edges, about 3 minutes. Transfer to a plate. Repeat with remaining 1 Tbsp. vegetable oil, remaining meat, and more salt. One bite and I bet you too will find yourself hungry for new lands. Looks great! As always your photos and directions make the recipe seem quite doable. This is a great tip. Will it work when using a mandolin? Les has cut the end of his finger off, not once but twice, usung a mandolin! !